POLICE are seeking information on some personal items found at Alkimos Beach on Friday. 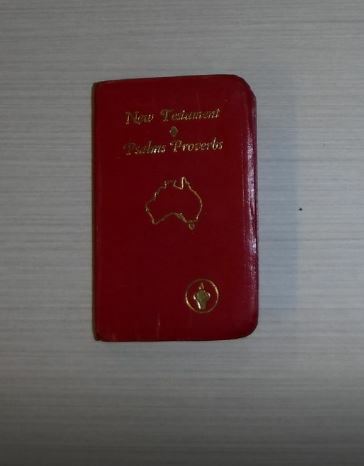 A member of the public located a bible, a pink rose and a pair of trousers and a jacket on the sand, and despite inquiries in the area, police have failed to locate the owner of the items. Police carried out land, sea and air searches for a possible missing person. No missing persons have been reported in the area and police have not found any further information. Anyone who recognises the items are asked to call Police on 131 444.